Put it all together and close it tight (especially if you have curious kids around you). And now wait, till you see the second set of leaves come up. That will be time to fertilize. (the mixture should stand for at least 1 week, the best would be for up to 3 weeks) They should look something like this. I then strain the mixture using cheese cloth and keep it the entire season in the same jar for occasional use. If you are ready to use it, DON'T POUR IT STRAIGHT!!! You have to dilute it with water. 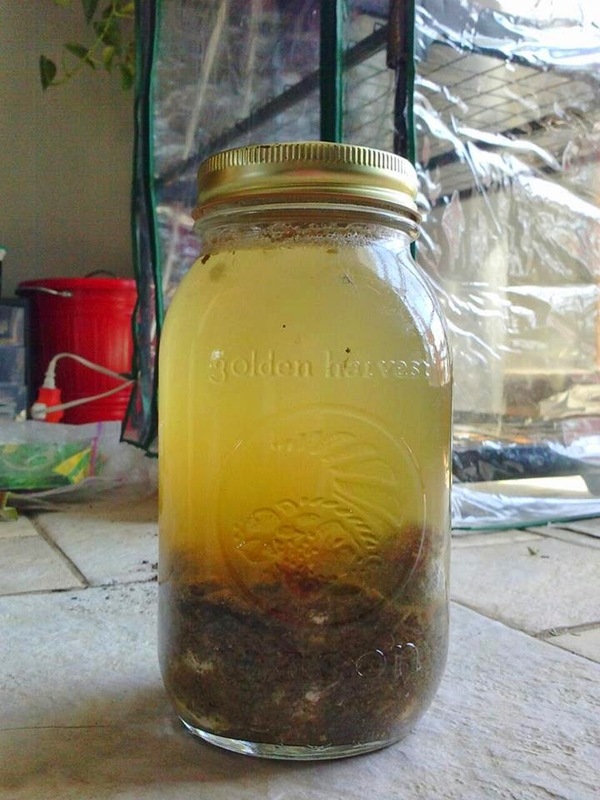 You will make something like compost tea. Some people use the ratio of 1 part of mixture x 1 part of water... I will start slow, I will do 1 part of mixture x 2 parts of water. And I will also only fertilize 1 pot first to make sure no plants will get burnt! If after one day all is good, go ahead and water the rest. If you burned your plants, no worries, dilute your mixture even more and repeat the step. Never pour the fertilizer straight at the plant and never spray it on the plant leaves or stem. You want to water small amount of the fertilizer around the stem right by the soil. 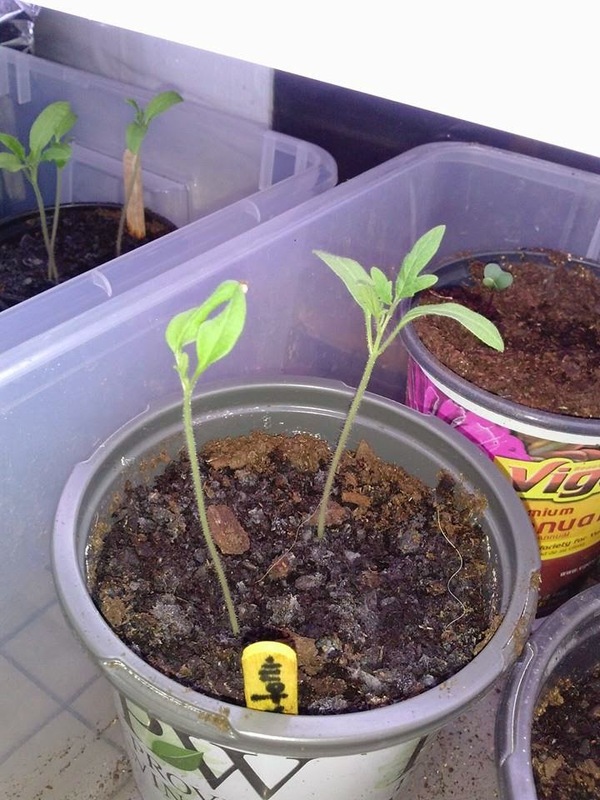 After the first feeding, watch your plants and use the fertilizer again only when you see that your plants stopped growing their usual pace. 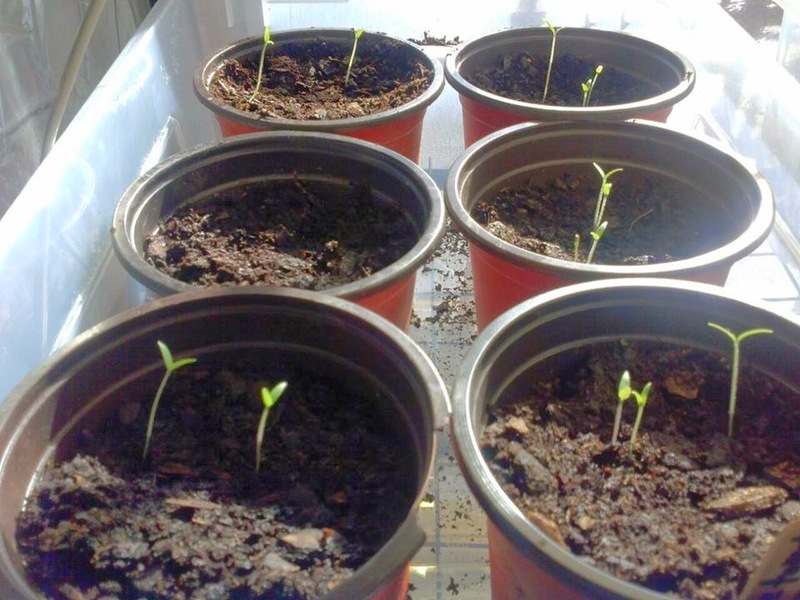 Please, come back in few days for some tips on how to fix or avoid leggy seedlings! I hope your garden will only bring you closer to your roots, nature, and that it will bring you peace in everyday life!